Eric Brende began at MIT to understand and deconstruct what media theorist Neil Postman calls our Technopoly, “a way of life that seeks technological answers first before other means, or even before thinking through the questions.” Since the relatively recent introduction of modern technology into our society, Moore’s Law (named appropriately for Intel’s co-founder) dictates that electronic tech grows exponentially: as our tech becomes more sophisticated, it is used in turn to produce even more complex systems. This expansion was a catalyst for Brende; he writes, “What I wanted to discover was a balance between too much machinery and too little, or better yet, how to arrive at it wherever one found oneself.” And so, tired of being surrounded by people who drive their cars to the gym to get exercise, Eric and his new wife decided to experiment with living completely tech-free. 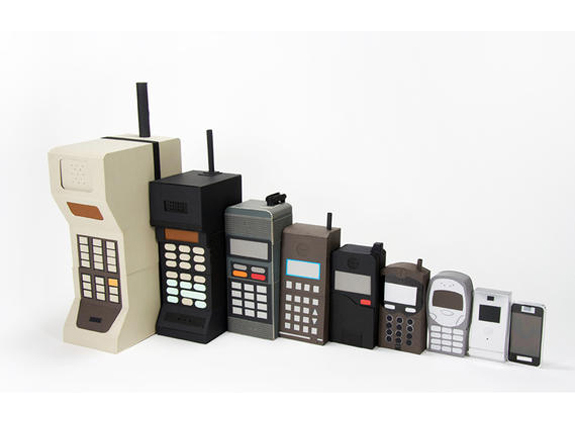 Moore’s Law is easily demonstrated by the evolution of cell phones in the last several decades. Brende emphasizes that the term Minimite, derived from the name of the simple-living Amish, has zero religious connotations. 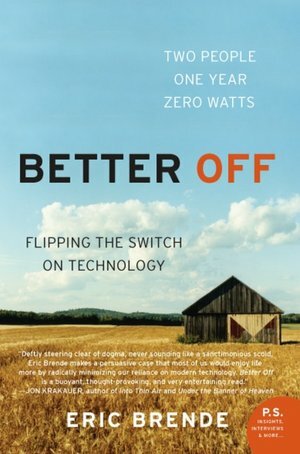 In his book chronicling his adventures, Better Off, Brende defines Minimite as “an aggregation of [people] from all corners of the country, bearing a variety of religious viewpoints, joined by one converging aim: to reclaim their lives from machines.” Although confronted by the expected initial hurdles, Eric and his new wife quickly adjust- and thrive- in this new setting. And like all new projects, they are infinitely more difficult when undertaken alone. Brende’s book was published in 2004 with Harper Collins. 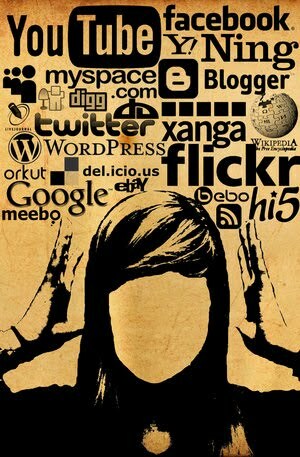 Technology forces us to turn inwards, whereas community allows us to focus outwards. Brende anticipated his rustic homesteading project to consume much of him time, without the modern conveniences of electricity and machinery. But he learned that “life without modern technology need not consist of brawn alone; a deft use of human wits can often do as well as, or better than, scads of machinery or muscle.” Let us not forget that from our own imaginations spring forth the blueprints of invention. The subject of community was all-encompassing within the Minimite people, even permeating the physically laboring tasks such as tilling soil or raising a barn. “As you applied yourself to your task, the threads of friendship and conversation would grow and connect you to laborers around you… you’d forget you were working,” Brende writes. In a theatrical aside, I would like to mention that I used to row, a sport that can teach a great deal of wisdom. Craig Lambert writes in Mind Over Water that “in this world we collide with those things that are invisible to us unless we have an ally who sees what we are blind to. The fatal condition is to be both blind and alone.” I feel this succinctly describes the Minimite view of community. 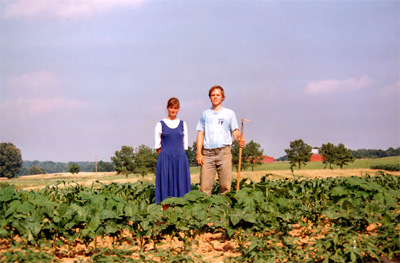 Eric and Mary Brende on their modern homestead. The heart of the issue between these two drastically different cultures and approaches to life and technology lies in the Minimite distinction between fast time and slow time. Fast time is “referred to as the modern convention,” the self-imposed schedule we live by that dictates our actions according to what we make time for. Slow time, on the other hand, was a “response to the harried chasing after artificial objectives… it was the Minimite acknowledgement of an entirely different structure in life, an entirely different pulse.” It can’t be a coincidence that people relying on community and hard work instead of the technology of convenience view time differently. They are tuned into the idea of the Long Now by living at the most basic and efficient level of community, as people have done for thousands of years. Earlier technology such as the printing press or telegraph machines have filled a distinct need within society. But lately our idea of “now” has gotten in the way. Our society has conditioned us to become increasingly more isolated from one another. We would rather look up a map route on our phones than ask a gas station attendant for directions, or text in social situations that would otherwise be filled with awkward silences. Brende writes that the problem is “our culture’s blindness to the distinction between the tool and the automatic machine… [and] often depriving their users of skills and physical exercise, creating new and artificial demands- for fuel, space, money, and time.” Stop and think of how many times an automated machine is involved in your life. Cars, phones that can locate our position, running water, or turning on the stove to make tea- the most important thing is not to rely on any of these too heavily. Sure, tech is convenient. But it’s okay to completely disconnect now and then. You don’t have to be accessible all the time. It’s like we’re waiting for someone to grant us permission to turn off our phones, not check our emails, and be impossible to contact for the weekend. Go ahead, explore the word beyond your screen. This entry was posted in Books and Literature, Expanding the Scope of Now, Exploring our World and tagged Eric Brende, nature is neat, review, tech. Bookmark the permalink.